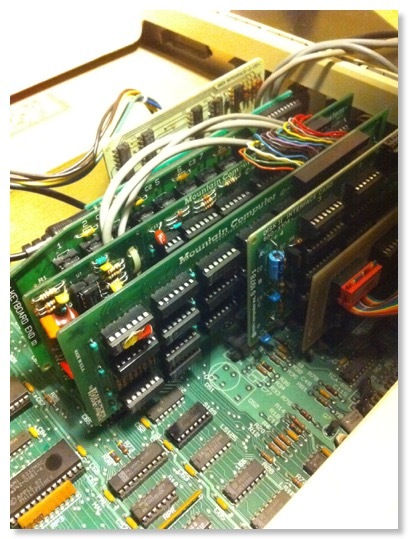 I managed to get some pictures and info about the Sentech Midi Interface card for the Apple II. Thanks to Carlos Fernandez for the info. There is not much info on the web about this card. The Wikipedia has some information but no photos. 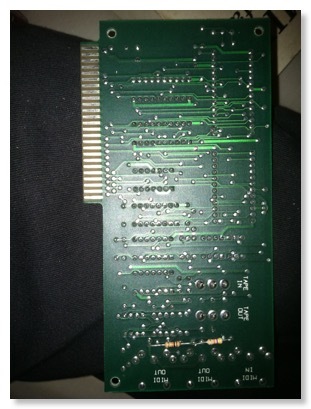 It's a very rare and hard to come by card but saying that most Apple II hardware is getting harder to find each day. 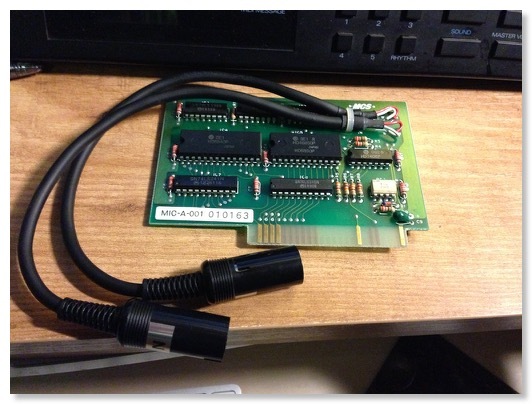 The Passport Designs MIDI interface card allows you to connect midi devices to your Apple II o Apple IIe. 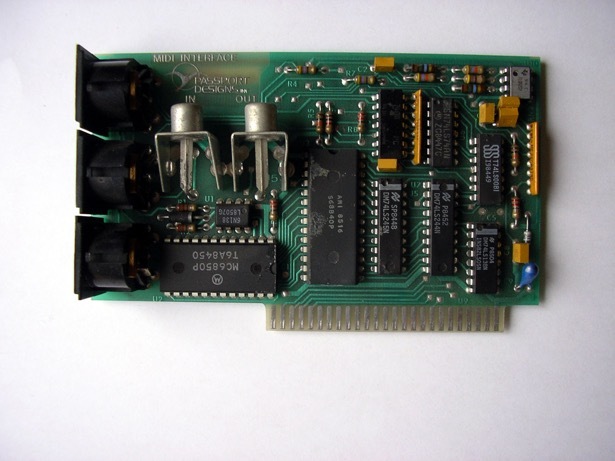 Even some games like Origin’s Ultima V supported this device allowing the games music to be enhanced using MIDI for the sound track. 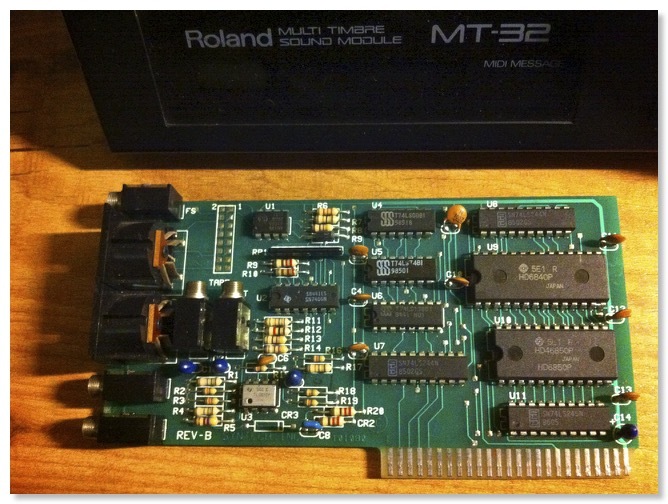 Something Sierra would do with Roland’s MT32 in the years to come. 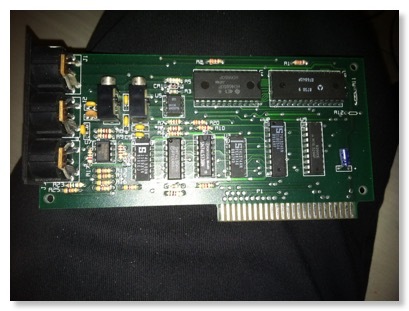 The card has midi in/out, thu plus for all your analogic minded people out there, tape sync in/out. Pretty much all you needed back in the days of midi. Do read the manual linked at the bottom of the pages as it goes into further details on connection and using the card. Thanks to Phillip for the scans of the card. This was probably the longest eBay auction I have ever done. I won’t go into details here are its too crazy to blog. Just imagine everything that could possible go wrong went wrong. In the end it did arrive and its working perfectly. The Syntech midi interface card, from what little information available on the internet is 100% Passport Designs compatible. It has midi in, midi out connectors plus tape in tape out. It came with no documentation so I don’t really know too much about it. I don’t even know how it was originally sold. Any information most appreciated. Passport Design’s famous Sound Chaser. This only just pre-dates midi. Midi was introduced just a little later but then started dominating the market and these types of products slowly disappeared and midi rapidly took over. It took me a while to get this all up and running. At first I tried to get it running on an Apple IIgs but had no luck. I think there are too many changes with the Apple IIgs’s hardware and the Mountain Music System cards seems to just roll over and die. Makes a sort of humming sound and thats about it.